March is a special time of the year, partially because it is Social Work Month. 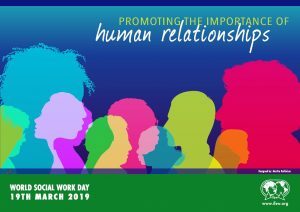 And March 19 especially stands out as it is the official World Social Work day this year. As anyone familiar with Elmwood Hills Healthcare Center knows, we place a high value on human relationships and see it as a vital ingredient in our state-of-the art care that we provide for your loved ones. We, therefore, especially appreciate this year’s theme and invite others to reflect on its importance as well. Here’s a short video about the importance of social workers in the United States. What do you appreciate about social workers?